it was a great experience dealing with battery dubai… the service was quick and professional ….. highly recommended .. double thumbs up!! we called them over to change the battery for our company vehicle which had a break down on site. they came on time helped us out. Having my wife and kids stuck up on E11, Got them online to help and boy did they sort things out in no time. I live in Al Ghadeer Complex alongside Al Maktoum Airport. Whilst trying to start my car I realised I had a completely dead battery. I called Dial a Battery and to my horror they said they could not help as I live beyond city limits. To my rescue came Mohamed Kashan who works for Dubai Battery, he had my car up and running in no time. The cost was also lower than the competitor. I had an important meeting to go to and my car wouldn’t start in front of my house. It took less than 30 minutes for everything to be fixed from the moment I placed the call!!!! The customer care representative on the phone knew exactly how to handle my challenge, a technician was in front of my house 15 minutes later and I was on the road shortly after that. I am very impressed with this efficiency. Additionally, the technician was lovely despite having to work in the heat in the middle of July! Thank you very much for this outstanding customer service. You guys definitely understand your customers. Made it to my meeting with time to spare…. Best service ever received. Will recommend to all my friends. Great service from the beginning till the end. Really recommended. It was an awesome customer service experience. Thank you Battery Dubai. It was an awesome customer service experience. Well done! Attentive & customer oriented service. Attentive & customer oriented service, competitive pricing and personalized attention. 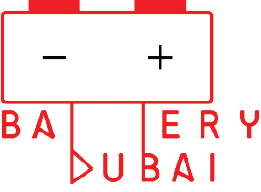 keep it up Battery Dubai!...cheers!